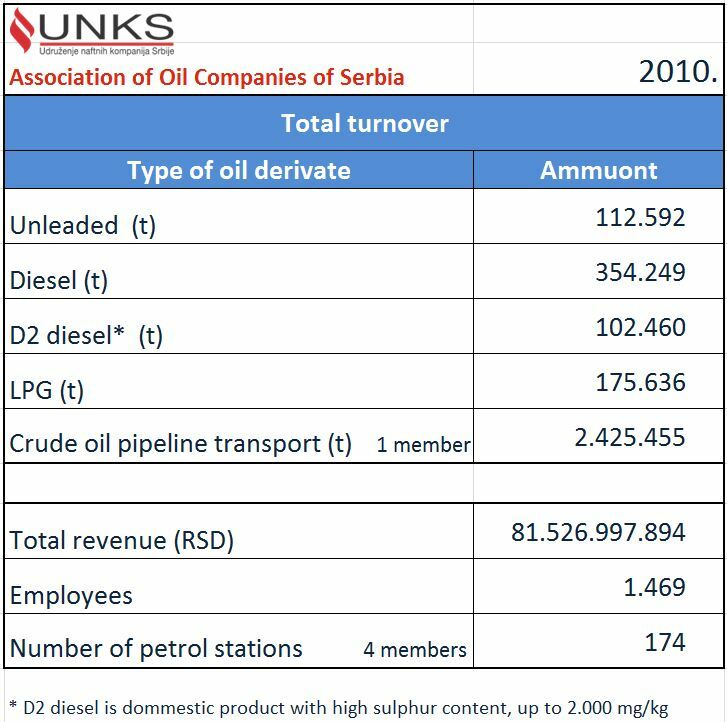 Member companies of the Association of oil companies of Serbia have had a significant stake in the overall oil derivate trade overturn during 2010. Nine full time UNKS members have totaled more than 65 billion RSD in turnover, in other words around 65 million EUR. By the end of 2010, UNKS member companies had 2621 employees. Four UNKS members have a chain of retail objects in Serbia, totaling with 174 petrol stations.